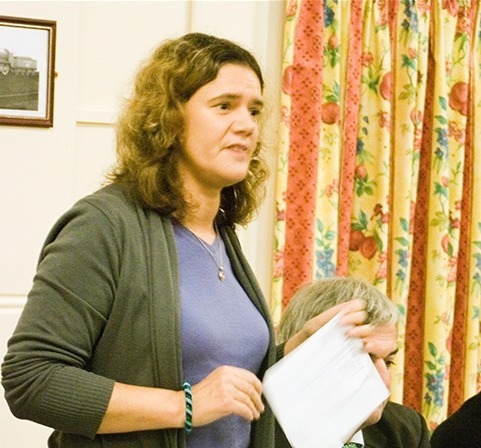 Louise Bloom the Liberal Democrat Councillor for Hedge End Grange Park has resigned her Cabinet seat today. Bloom who held the portfolio for environment and sustainability has been absent from cabinet meetings since June following a highly publicised split from long term partner Eastleigh Liberal Democrat and Council Leader Keith House. But in a statement the long-serving Councillor said it was due to her recent prolonged period of Ill-helath no longer able to continue in the role she described as ‘rewarding’. “Due to my recent and on-going ill health, I feel I am unable to meet all the extra demands of being a Cabinet Member whilst holding down a ‘day job’. It is therefore with great regret that I have today resigned as Cabinet Member for Environment & Sustainability after 13 very rewarding years. I am extremely proud of all the success we achieved during that time, particularly wining Beacon Council for Tackling Climate Change. “I will be remaining as a local Lib Dem Councillor representing the great people of Grange Park. In January Cllr Bloom resigned her Grange Park seat on Hedge End Town Council – an authority she had previously chaired citing ‘personal reasons’. With 1/3 of the Borough seats up for election in May (but not Cllr Bloom’s this time) wouldn’t there be the usual ritual of appointing a new Cabinet in May…? And what were the prospects of Cllr Bloom being re-appointed to the Cabinet, given everything that has happened and the ongoing tensions between Cabinet members….? Could this be a case of anticipating what is coming and resigning rather than facing the humiliation of being dropped…? I think that comment says more about you than it does about Cllr. Bloom. Legally – this is Blairite centralising legislation from a decade ago – Cabinet appointments are made by the Leader and not by the Council. Here in Eastleigh, we value democracy more and the majority group holds internal elections for these roles albeit the Leader then technically makes the appointments. In 2010 EBC had the option to change it’s executive arrangements. It could choose between a ‘Strong Leader and cabinet’ style executive or a directly elected mayor. There was also the opportunity to revert to the old ‘committee style’ system. Following a public consultation only one (1) member of the public wrote in to support the ”strong leader and cabinet style’ option, and what did the council choose? That’s right the ‘leader and cabinet’ system we currently enjoy. A public referendum was ruled out on the grounds of cost, we had a chronically under-publicised ‘consultation’ instead which elicited a total of 13 responses. Is it really fair to claim the current system was imposed on the council by a Labour government when in fact it was voted for by the council? Oh Ray, off you go again! I was ELECTED (unopposed) by my fellow Lib Dem councillors to the Cabinet in 2002/3/4/5/6/7/8/9/10/11/12/13 and 14. I resigned as you know for health reasons, to try to get some balance back in my life. If I hadn’t chosen to do this, I would have thrown my hat into the ring again (I have lots of hats,as you also know, I like hats) at the Lib Dem Group AGM after the election. Simples! Of course you did, dear. And the lack of opposition is a testament to your beau’s whip hand. He runs a tight ship. But alas, his attentions are now elsewhere. Are you always that sexist and patronising or is it just me? Sounds like a Kipper to me. You know me Louise. Always ready to question the things that I see happening, rather than naively accept everything at face-value. But thanks for the clarification that elections to the Cabinet are held every year. That’s useful and informative for our readers. I’m sure that many were unware of that happening. The elections to Cabinet for 2015 would certainly have been interesting & newsworthy, given the events of the past year, but this resignation has clearly saved your fellow Lib Dem Cllrs an awkward decision. More generally it has spared the Eastleigh Lib Dems another round of unwanted publicity. If ill health & pressure of work etc is the reason, why wait until now to resign…? Why not resign sooner, when those issues became apparent…? Why wait until the very last minute, at the end of the Cabinet year..? Why not resign from the Cabinet at the same time that you stood down from Hedge End Town Council…? Notwithstanding the above, I do genuinely wish you well. Both in health and in your future career. Hope we can sit down together sometime and chat about these things in more detail.